Jonathan is one of this country’s most important commercial apples grown extensively in the northern regions on the nation, particularly Michigan, Ohio, Washington, and Pennsylvania. 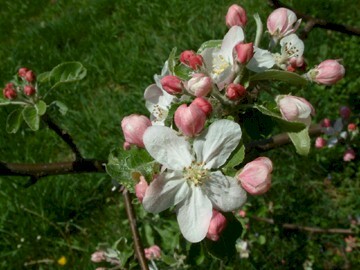 The apple originated as a seedling of the famous Esopus Spitzenburg on the farm of Philip Rick of Woodstock, New York in 1826. The medium-sized fruit has thin, tough yellow skin almost completely covered with dark red. 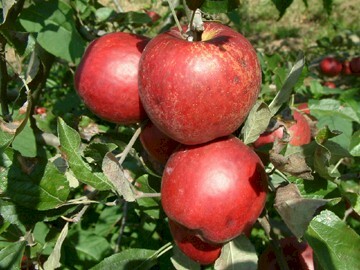 Ripens September to October and is a very fine keeper if properly grown.